The Abraham-Teachings speak to the heart. Your emotions are your guide as to what is appropriate for you and what is not. Featuring the concept of the Universal Law of Attraction, the Hicks' have published more than 800 Abraham-Hicks books, cassettes, CDs, and DVDs that have been translated into more than 30 different languages. They may be contacted through their extensive interactive Website at: www.Abraham-Hicks.com ; or by mail at Abraham-Hicks Publications, P.O. Box 690070, San Antonio, TX 78269. Living a better-feeling life really comes down to one thing only: coming into alignment with the Energy of our Source. The Abraham-Teachings remind us that we are truly Source Energy focused into our physical bodies, and that a conscious Connection to that Broader Non-Physical part of us is necessary if we are to be the joyful Beings that we were born to be. Abraham calls that wonderful alignment Getting into the Vortex. Through a series of Leading Edge books (New York Times bestsellers), Abraham has emphasized the importance of our conscious alignment with the Source within us. They have let us know that our natural state of Being is inside our Vortex of Creation in complete alignment with Source Energy—and that every aspect of our physical experience reflects our alignment with, or resistance to, that Connection. Everything—from the physical well-being of our bodies, the clarity of our minds, and the abundance we allow to flow, to the satisfaction in every relationship we experience—is impacted by our all-important relationship with our Vortex. The Abraham-Teachings helps us to understand that our dominant intent in every day is to get into the Vortex! And now, they have lovingly and specifically guided Jerry and Esther Hicks in the creation of an innovative and valuable tool that promises to get us into the Vortex right now . . . and that tool is enclosed in the Getting into the Vortex User Guide in the form of a 70-minute CD. Through the magical projection of high-vibration music, Law of Attraction Directly from Source will powerfully and playfully immerse you in the progressive stream of thought and the highly practical wisdom of The Abraham-Teachings. Each track features Leading Edge electronically influenced music that has been woven around the empowering and upbeat voice of Esther as she speaks for Abraham—a Non-Physical group of highly evolved teachers. So just relax and listen quietly, or crank it all the way up as you move and groove with your own vibrational being. Either way, prepare yourself for a sonic ride on the soothing—yet soul-stirring—audio stream of Well-Being. This Leading Edge work about the Abraham-Teachings by Esther and Jerry Hicks, explains that the two subjects most chronically affected by the powerful Law of Attraction are financial and physical well-being. This book will shine a spotlight on each of the most significant aspects of your life experience and then guide you to the conscious creative control of every aspect of your life, and also goes right to the heart of what most of you are probably troubled by: money and physical health. Not having enough money or not having good health puts you in the perfect position for creating more of that which you do not have. 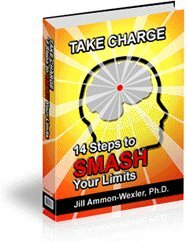 This book has been written to deliberately align you with the most powerful law in the universe—the Law of Attraction—so that you can make it work specifically for you. This book about the Abraham-Teachings by Esther and Jerry Hicks, is about having a deliberate intent for whatever you want in life, while at the same time balancing your energy along the way. But it’s important to note that the awareness of the need to balance your energy is much more significant than goal-setting or focusing on ultimate desires. And it is from this very important distinction that this work has come forth. As you come to understand and effectively practice the processes offered here, you will not only achieve your goals and desired outcomes more rapidly, but you’ll enjoy every single step along the path even before their manifestation. As such, you’ll find that the living of your life is an ongoing journey of joy, rather than a series of long dry spells between occasional moments of temporary satisfaction. This book presents the powerful basics of the original Abraham-Teachings of Abraham®,a Non-Physical entity . 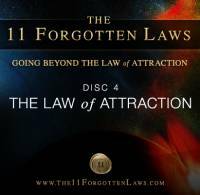 Within these pages, you’ll learn how all things, wanted and unwanted, are brought to you by this most powerful law of the universe, the Law of Attraction. (that which is like unto itself is drawn). You’ve most likely heard the saying “Like attracts like,” “Birds of a feather flock together,” or “It is done unto you as you believe” (a belief is only a thought you keep thinking); and although the Law of Attraction has been alluded to by some of the greatest teachers in history, it has never before been explained in as clear and practical terms as in this latest book by New York Times best-selling authors, Esther and Jerry Hicks. This leading-edge book, using the Abraham-Teachings, will help you understand the emotions that you’ve been experiencing all of your life. Instead of the out-of-control, knee-jerk reactions that most people have to their ever-changing life experience, this work will put those responses into a broader context. You’ll come to understand what emotions are, what each of them means, and how to effectively utilize your new awareness of them. Includes a FREE CD excerpt from a live Art of Allowing Workshop with Abraham! The Abraham-Teachings will help you learn how to manifest your desires so that you're living the joyous and fulfilling life you deserve. As you read, you'll come to understand how your relationships, health issues, finances, career concerns, and more are influenced by the Universal laws that govern your time/space reality - and you'll discover powerful processes that will help you go with the positive flow of life. It's your birthright to live a life filled with everything that is good - and this book will show you how to make it so in every way!